Is a 50 MPG Corvette Possible? So a 2001 C5 6 speed just showed up on my favorite lot run by a friend. Now I too am intrigued. His is a nice 75k miles asking $13,000 but I have a feeling I could get it around 10. That made me look around and I seem some other decent examples within 500 miles for even $8500. My son and I had been looking for a hot rod or musclecar to build, but now I'm thinking a $5000 C5 with a blown motor might be the thing to wait for. Now I don't really care if I could get 35-40mpg but it is interesting. I would rather try and build a 200mph capable car but the aero goals might be similar. I've always wanted to see a 50/50 morph between a Corvette and the 1947 Volkhart-Saggitta. 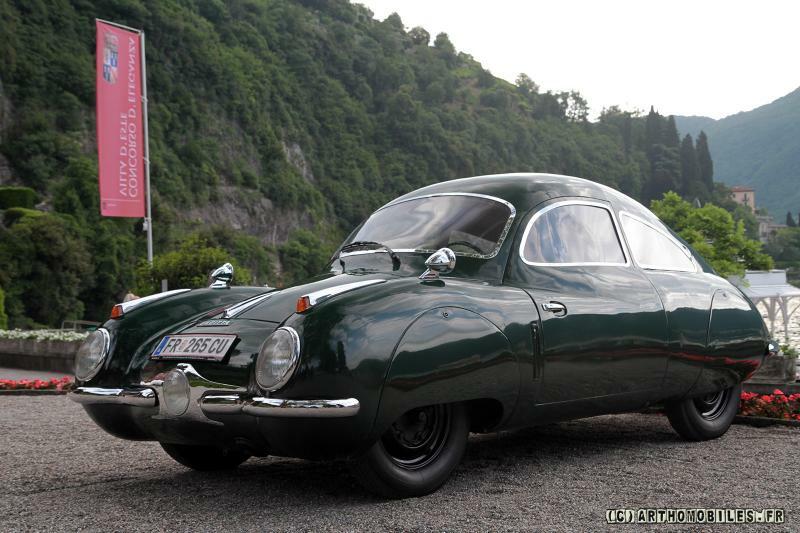 With a windshield from a Lola or Porsche GTP or something raised above a cowl shaped like the Talbot-Lago, and three-place seating (two front/one back). Four wheel skirts over tall-narrow Bridgeport Ecopias on 19s.